Drug Reaction with Eosinophilia and Systemic Symptoms (DReSS): How Far Have We Come? Drug reaction with eosinophilia and systemic symptoms (DReSS), also known as drug-induced hypersensitivity syndrome (DiHS), is an uncommon severe adverse reaction to medications. It is important to recognize it as it is potentially fatal and can cause significant morbidity. From the first reports of drug reactions related to certain anticonvulsants characterized by fever, liver enzyme elevation, and skin changes, our continuously growing understanding of this entity has allowed us to describe its physiopathology and clinical features even further. The relationship of genetic factors, viral activation, and specific drug exposure is now known to play a role in this disease. There is still not a widely accepted marker for DReSS/DiHS, but the spectrum of clinical and laboratory features has now been better outlined. The mainstay of treatment is the use of systemic corticosteroids, but other options such as intravenous immunoglobulin, cyclosporine, mycophenolate mofetil, rituximab, and cyclophosphamide have been described. We present a comprehensive review of the literature on DReSS/DiHS, focusing on its history, etiopathogenesis, diagnosis, therapeutic approach, and outcome. Fabian Rodríguez-Bolaños and Sylvia Martínez-Cabriales contributed equally in the preparation of this manuscript. No funding was received for the preparation of this review. S.A. Martinez-Cabriales, F. Rodriguez-Bolaños, and N.F. Shear declare that they have no conflicts of interest. Shear NH, Spielberg SP. Anticonvulsant hypersensitivity syndrome. In vitro assessment of risk. J Clin Invest. 1988;82(6):1826–32. https://doi.org/10.1172/jci113798. Kardaun SH, Sekula P, Valeyrie-Allanore L, Liss Y, Chu CY, Creamer D, et al. ; RegiSCAR study group. Drug reaction with eosinophilia and systemic symptoms (DRESS): an original multisystem adverse drug reaction. Results from the prospective RegiSCAR study. Br J Dermatol. 2013;169(5):1071–80. https://doi.org/10.1111/bjd.12501. Cho YT, Yang CW, Chu CY. Drug reaction with eosinophilia and systemic symptoms (DRESS): an interplay among drugs, viruses, and immune system. Int J Mol Sci. 2017. https://doi.org/10.3390/ijms18061243. White KD, Chung WH, Hung SI, Mallal S, Phillips EJ. Evolving models of the immunopathogenesis of T cell-mediated drug allergy: the role of host, pathogens, and drug response. J Allergy Clin Immunol. 2015;136(2):219–34. https://doi.org/10.1016/j.jaci.2015.05.050 (quiz 35). Picard D, Janela B, Descamps V, D’Incan M, Courville P, Jacquot S et al. Drug reaction with eosinophilia and systemic symptoms (DRESS): a multiorgan antiviral T cell response. Sci Transl Med. 2010;2(46):46ra62. https://doi.org/10.1126/scitranslmed.3001116. Kano Y, Ishida T, Hirahara K, Shiohara T. Visceral involvements and long-term sequelae in drug-induced hypersensitivity syndrome. Med Clin North Am. 2010;94(4):743–59. https://doi.org/10.1016/j.mcna.2010.03.004 (xi). Jawed SI, Myskowski PL, Horwitz S, Moskowitz A, Querfeld C. Primary cutaneous T-cell lymphoma (mycosis fungoides and Sezary syndrome): part I. Diagnosis: clinical and histopathologic features and new molecular and biologic markers. J Am Acad Dermatol. 2014;70(2):205.e1–16. https://doi.org/10.1016/j.jaad.2013.07.049 (quiz 21–2). Benm’rad M, Leclerc-Mercier S, Blanche P, Franck N, Rozenberg F, Fulla Y, et al. Drug-induced hypersensitivity syndrome: clinical and biologic disease patterns in 24 patients. Medicine. 2009;88(3):131–40. https://doi.org/10.1097/MD.0b013e3181a4d1a1. Suthumchai N, Srinoulprasert Y, Thantiworasit P, Rerknimitr P, Tuchinda P, Chularojanamontri L, et al. 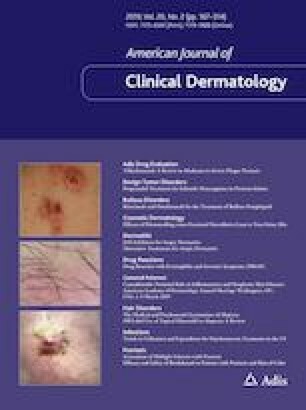 The measurement of drug-induced interferon gamma-releasing cells and lymphocyte proliferation in severe cutaneous adverse reactions. J Eur Acad Dermatol Venereol. 2018. https://doi.org/10.1111/jdv.14890. Husain Z, Reddy BY, Schwartz RA. DRESS syndrome: part II. Management and therapeutics. J Am Acad Dermatol. 2013;68(5):709.e1–9. https://doi.org/10.1016/j.jaad.2013.01.032 (quiz 18–20). Daoulah A, Alqahtani AA, Ocheltree SR, Alhabib A, Ocheltree AR. Acute myocardial infarction in a 56-year-old female patient treated with sulfasalazine. Am J Emerg Med. 2012;30(4):638e1–3. https://doi.org/10.1016/j.ajem.2011.02.018. Aota N, Hirahara K, Kano Y, Fukuoka T, Yamada A, Shiohara T. Systemic lupus erythematosus presenting with Kikuchi-Fujimoto’s disease as a long-term sequela of drug-induced hypersensitivity syndrome. A possible role of Epstein-Barr virus reactivation. Dermatology. 2009;218(3):275–7. https://doi.org/10.1159/000187619.